If you have a WordPress, you probably know that there are numerous plugins for adding Facebook to your website. 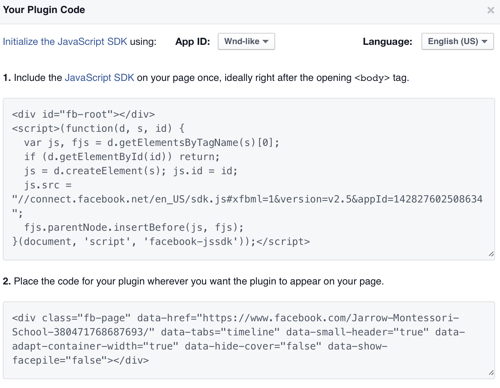 Why use a plugin when you can go straight to the source to get a Facebook plugin for your website? This procedure explains how to add a Facebook Timeline to WordPress. The following procedure explains how to add a Facebook timeline to WordPress. Copy the top code and insert just after the opening body tag. In WordPress, go to Appearance > Widgets and drag a Text Widget into the Sidebar where you want the Facebook Timeline to appear. Click on the Text widget to open it and paste the code you copied into the text field. Add a title if you want the title to appear on the page and then click Save. Comments are closed. If you have information to share, contact me here.